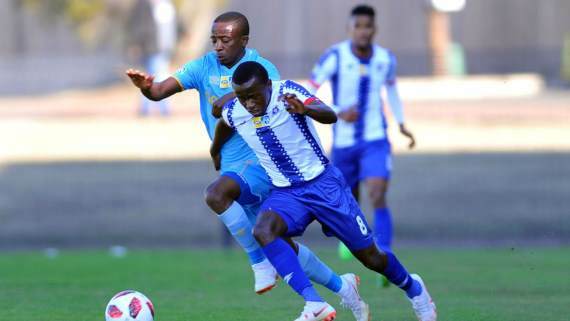 Maritzburg United coach Fadlu Davids is confident the club will not struggle to replace Siphesihle Ndlovu once he departs for Mamelodi Sundowns. Team of Choice chairman Farook Kadodia recently announced they had agreed a deal in principle with the Brazilians over the sale of the 22-year-old midfielder. However, Davids is not concerned that he will lose another important member of his team and expects youngsters coming through the ranks to fill the big boots of the 2017/18 Premiership Midfielder of the Season. "It's normal that the players want to take their careers to the next level," Davids was quoted as saying by SowetanLive. "It's about giving the next youngster a chance. We've already handed out a few debuts this season. Let's hope that those youngsters can grow to be just as effective and consistent as the players we have lost from last season. "Of course at the moment he is not sold. At the moment nothing is confirmed. So we plan normally like he is here and he is part of us and we will continue to do so until anything changes." Copyright SBN. All rights reserved. Data provided or compiled by SBN, which includes data from a variety of sources generally is accurate, but occasionally error and omissions occur as a result of incorrect data received from others, mistakes in processing and other causes. SBN disclaims responsibility for the consequences, if any, of such errors. SBN appreciate, however, if errors would be brought to its attention. SBN is published weekly and distributed throughout South Africa. Please note that Soccer Betting News takes no responsibility for any financial loss caused by the following our soccer tips and betting suggestions. All betting posted is at the time of writing, and prices are subject to change. Soccer Betting News is not a bookmaker, and does not lay bets.